Here at Farmhouse Stoves, we supply and install a wide range of multifuel and wood-burning stoves to properties throughout Stoke-on-Trent and the surrounding areas. 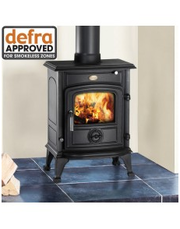 Whether you need traditional stoves, inset stoves, smoke-control stoves or boilers, Farmhouse Stoves should be your first and only port of call. We only supply the highest quality stoves and so you can be assured that our stock of stoves will provide the best aesthetical feature to your home, as well as functioning as efficiently as possible.